Take a Virtual Tour of Karin’s Florist with Google Business View! 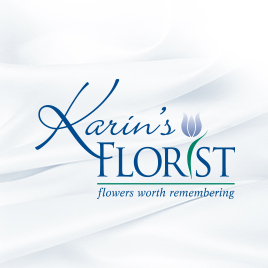 Karin’s Florist’s Google Business View Tour is now live. Take a panoramic look inside our store, and find some floral inspiration! Just click the image to begin your tour. Westfields Wedding Showcase! We would like to invite all of our customers to join us at the Westfields Wedding Showcase open house! If you’re looking for inspiration for your wedding, this is the place to be and Karin’s Florist will be in attendance. Sunday February 22, 2015 | 11:00am-3:00pm | Free Admission! Holiday Gift Baskets Supporting World Police & Fire Games Karin’s Florist has a new selection of holiday gift baskets available in support of the World Police and Fire Games! Small Medium Large More information: KarinsFlorist.com | Fairfax2015.com. Photos from the 2014 Vienna Halloween Parade! Here are photo highlights from the 68th Annual Vienna Halloween Parade! This year’s event featured the Vienna Girls Softball League as Grand Marshal and the theme was “Celebrating the Tradition of Vienna Girls Sports.” If you’re looking for Halloween-themed floral arrangements, Karin’s Florist has you covered:   .